The real estate investment trust on Monday said the would-be buyers, Bow Street Special Opportunities Fund XV LP and David Werner Real Estate Investments, have told the company they plan to nominate a majority slate of six candidates to stand for election to the board at its upcoming annual stockholders meeting. The notification came late last week, Mack-Cali said, following the board’s unanimous rejection on March 13 of the group’s unsolicited offer to buy its office portfolio. The Jersey City-based REIT, which has moved aggressively in recent years to shed noncore office buildings and improve the overall quality of its portfolio, cited a host of reasons. “Our Board considers all credible alternatives for maximizing value for our stockholders, including potential strategic transactions,” William L. Mack, Mack-Cali’s board chairman, said in a prepared statement. “However, the Bow Street/DWREI unsolicited proposal is wholly inadequate from a value perspective, illusory in nature and does not reflect Mack-Cali’s intrinsic value and growth potential. “Indeed, the proposal is not a credible offer to deliver value to our stockholders through the acquisition of the entire Company at a full and fair price. Rather, it is nothing more than an attempt to break up Mack-Cali in order to acquire our valuable office assets at a grossly inadequate price and at the expense of all other stockholders. Mack also noted that the deal would have required the REIT to spin off its Roseland Residential Trust subsidiary and other residential assets to Mack-Cali stockholders as a newly formed, publicly traded residential REIT that would seemingly have trouble standing on its own. In a news release Monday, the company said it received Bow Street’s unsolicited proposal to buy its prime waterfront and suburban office buildings on February 25. The proposal called for a cash price of $2.4 billion to $2.6 billion. Following initial discussions, Mack-Cali on March 8 informed Bow Street that its board would review and consider the proposal at its regularly scheduled quarterly meeting on March 13 “as part of the board’s regular evaluation of the company’s strategic direction,” the news release said. On March 10, Bow Street informed Mack-Cali of its intent to nominate a slate of candidates to its board prior to the March 15 deadline for submitting director nominations — as spelled out under the REIT’s bylaws — unless it agreed to extend the deadline to continue private discussions about the offer. Mack-Cali said that, three days later, after evaluating the Bow Street proposal and consulting with its financial and legal advisers, its board unanimously voted to reject the proposal. Bow Street delivered its formal director nomination notice to the company on March 14. In recounting its decision, Mack-Cali said its board determined that the proposal “substantially undervalues the company’s core office portfolio, is unworkable and, if consummated, would leave the company and its stockholders without the wherewithal to capitalize on its residential assets and with shares of a small, undercapitalized company unlikely to achieve an attractive valuation in the public market.” Among other concerns, the board found that the proposal values Mack-Cali’s core office portfolio at a substantial discount to management’s valuation estimate. Mack-Cali also said the offer overstates the amount of net cash proceeds that would be available for distribution to its stockholders, due to taxes, frictional costs and structuring prohibitions. The REIT also noted that the new Roseland multifamily REIT that would have to be formed as a result would not be practical based on the earnings of peers in the market, the subsidiary’s debt load, its cash flow and its obligations to joint venture partner Rockpoint Group. 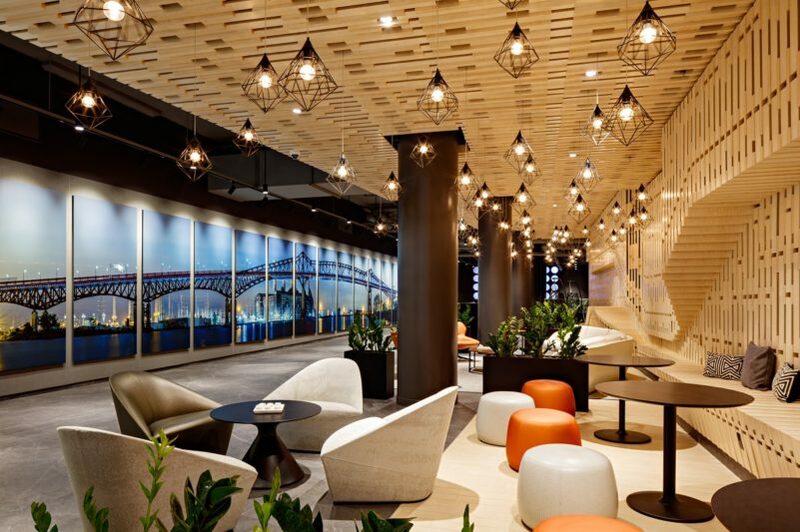 “Over the past several years, Mack-Cali has taken significant steps to transform our business to focus on the Hudson River Waterfront and other transit-based office markets, while expanding our multifamily operations,” Mack-Cali CEO Michael J. DeMarco said. “For example, we have sold over $2.1 billion of assets in the last (three and a half) years while constructing over $2 billion of multifamily assets and buying over $740 million 1031 replacement assets. “We have learned three things during this process: (1) exactly where the market is for NJ office assets; (2) how to sell those assets in today’s environment and (3) how to do so in a tax efficient manner. This proposal, which we estimate to be at a 9% in place cap rate and under $200 per square foot, flies in the face of everything we have learned over the last (three and a half) years. The news release noted that Mack-Cali stockholders are not required to take any action at this time, adding that the company is evaluating Bow Street’s director nomination notice for compliance with the company’s bylaws. BofA Merrill Lynch is serving as financial adviser to Mack-Cali, while Greenberg Traurig LLP and Seyfarth Shaw LLP are serving as legal counsel.